Did you purchase the 30th Anniversary Collection when it originally arrived in May earlier this year? 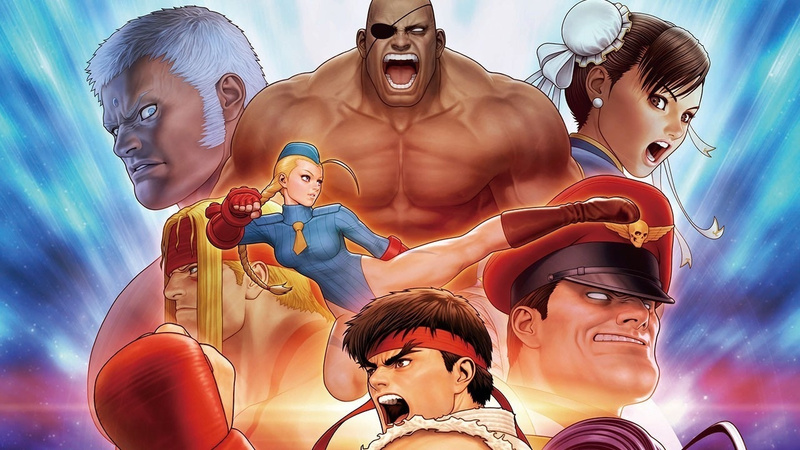 Are you still training up or have you moved onto another fighting game? Tell us in the comments below. Never picked it up, I like watching street fighter but playing it is another thing usually. I really Need SOUNDS Improvement. Playing on Handheld Mode was Too Quiet. Still no improvements to general audio? It's too low. I use headphones when I play portable mode and bus' engine trumps the sound of this game. Only this game. They should add Alpha 3 Upper and Alpha 2 Gold to it and fix the dreadfully low volume. Some difficulty fixes would be nice too, if you play on the easiest setting you shouldn't have any trouble going through and completing the story. did they also improve the [removed] price ? I grew up on Street Fighter, but every new game, anniversary edition, etc. that they’ve put out in the last ten years+ has been trash. The most recent mobile iteration ran at like 10 FPS on the top-of-the-line devices at the time. I played it twice before deleting it. The audio is too quiet. C’mon Please change it. Never picked it up. Ultra Street Fighter II is perfection to me, so why get a dozen other street fighters? Will we be able to check connection before playing ranked games on 3rd strike?? Now with the game releasing in Japan and this update, hopefully that means I'll be able to play a match that isn't a lag fest. Like others have said, FIX THE AUDIO Capcom. I have to double the volume and even then it still sounds muffled. How this issue hasn't been noticed I'll never know. The difficulty! It's running the earliest SF revision ROMs which frustrated and annoyed on initial release, hence the numerous revisions. I’m still playing from time to time. Glad they are making improvements this far down the line, just not the ones we all want! Can you map buttons to all three kicks and all three punches? Can you save high scores? I honestly feel like I've been missing something about this collection, given that everyone raves on about how much better it is than USFII, yet doesn't appear to have these basic functions. Got this on the PS4 so I could have all of them in one place. Great game though, with all the information and art included in the package. Puts a lot of other retro collections to shame in terms of the content, both in terms of the number of games and all the stuff surrounding them. I'll believe it when I see it. SF30th online plays great with people on the same continent, but whenever I try to play USA vs. Europe the game just straight up stutters. Music stutters, game plays at about 5 FPS, the Beat Em Up Collection has the same problem. Come on Capcom! Last I checked, Street Fighter 2 is called "The World Warrior." Not the local warrior. Glad to see other people mentioning about the sound! I had this problem when playing in handheld even with my Switch turned all the way up, but hadn't foubd any mention of it anywhere online and honestly was thinking I had a problem with my hearing! Agreed the low volume is a killer. Also hate how it rushes through the victory stances after each round (might just be the Alpha games), a tiny detail but one I miss. This is a pleasant surprise. I didn't think Capcom was interested in fixing anything in this game. For me, the main issue is the lag in online matches. We'll see if they worked on that. @Ryzaerian Did you only play the crappy mobile game? The real version of IV (even the 3ds version) runs beautifully. This collection isn't bad either, it includes literally everything you'd want from classic street fighter in one convenient package. I hope they expand the gallery in Beat 'Em Up Bundle as well. I wonder what "asset corrections" means though? Yes. The game is down to $30. 12 games for $30 is pretty fair if you ask me. Is the online still active for this game? I'm happy about these improvements, but worried that there's no one around to enjoy them. Great, really hoping they patch up the Beat 'em Up Bundle's online next, it's pretty much unplayable. It’s impossible to play this game properly on the Switch. There are no acceptable d pads that work for this game. The only solution is getting an arcade stick or somehow getting a PS4 or Xbox controller to sync to the system. Off-topic, but uh Capcom-- Bout time for Mega Man X Legacy Collection to go on sale on the eShop ain't it? Excellent package and a good deal if you can get it on sale at a physical retailer. Loads of fun. I picked it up but have put little time into it. Everyone seemed amazing online, I played about 35 fights but only won 4 or 5. It's a nicely put together package but I have no desire to play it any more really. Perhaps I will try it again after the update. get the filters added to the beat-em -up collection. @Robzilla PS4 version for me for that exact reason. Corrections to Korean Photosensitivity Warning. Oh God! I’ve waited for this! Thank you Capcom! Guessing this patch just updates the game to what is getting released in Japan around the same time. @Robzilla I use the Pokken Tournament wired Hori controller. It only works in docked mode and there are no analog sticks, rumble, motion, etc. but it has the best D Pad available on Switch IMO and I use it for fighting games and 2D platformers. A nice update but c'mon Capcom October 24th 2018 was the 24th anniversary death date of Raul Julia. 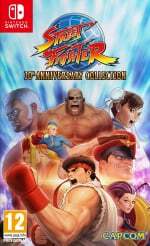 How bout giving us a free DLC arcade version of Street Fighter the Movie the Game for the 30th Anniversary SF compilation in honor of the man who never saw the game or film he starred in. I know i wasn't a good game but it's still a fun game to mess with. @mauhlin12 Is the D Pad on your Pokken Controller as firm and clicky as the buttons are? I bought one brand new and I'm wondering if it was defective because the D Pad is terrible. The buttons are great, but the D Pad isn't. @Robzilla I can vouch for that pad too, its excellent for these type of games. @ReaderRagfish Not at all. The face buttons are clicky as you said, but the D pad is really smooth. Some of the special moves that require a double quarter circle or a charge back, forward, back forward were hard for me to pull off with my 8BitDo SNES Pro Controller but are much easier to execute with the Pokken. I'll not hold my breath, but I hope the issues are fixed. As it stands this is the most disappointing title I have played in a long, long time. @mauhlin12 Maybe it's just preference then, as mine seems the same as what you described, but I don't like it. I actually have an easier time doing quarter circle rotations with the Dreamcast and Gamecube D Pads, let alone standing 720 rotations. @Reigestugatensho I actually used that one too. I hate Cammy's default design, it makes no sense. How is that supposed to work, Capcom?